Old Town of Jakarta located at the northern Jakarta at this time. Previously, Jakarta area known as Sunda Kelapa Harbor area. The initial name persisted until now to port located in the northern part of the Old City. When Netherland occupy Indonesia, they made Sunda Kelapa as they center government in Indonesia and gave a new name to this area, Batavia. Currently the old city area has become one of the favorite tourist attraction in Jakarta, in this area we can see relics of the Dutch Colonial old buildings, although most of the conditions are less maintained. We can also visit some of museums located in Fatahillah Square complex, like Jakarta History Museum, Wayang Museum, and art and ceramics museum. Kali Besar street is a line at the center of Old Town of Jakarta, this street make a cross line from north to south. At this street, we can see some old building from Dutch Colonial era, some of the is Dutch castle, Mandiri bank, and Red Shop. At the end of the Kali Besar Timur Street, we can see Kota Intan Bridge that almost all of it parts are made from wood. 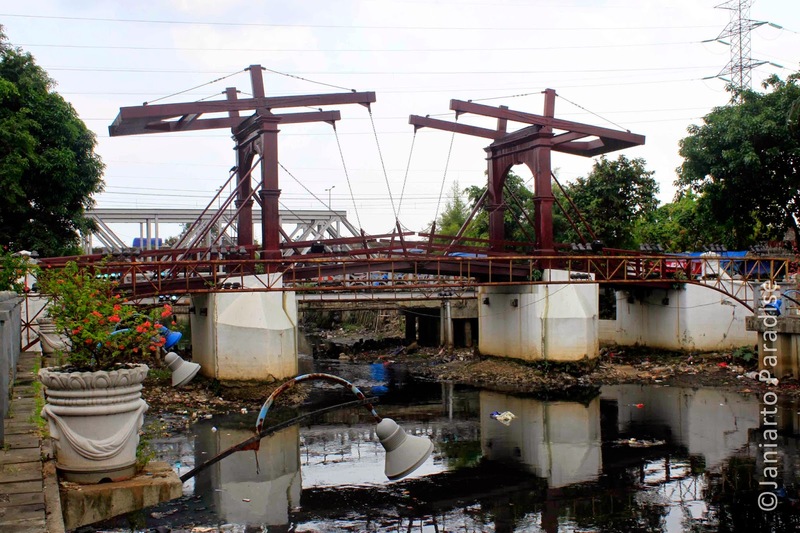 The brownish red bridge are included in Jakarta Cultural Heritage from the Dutch colonial era. 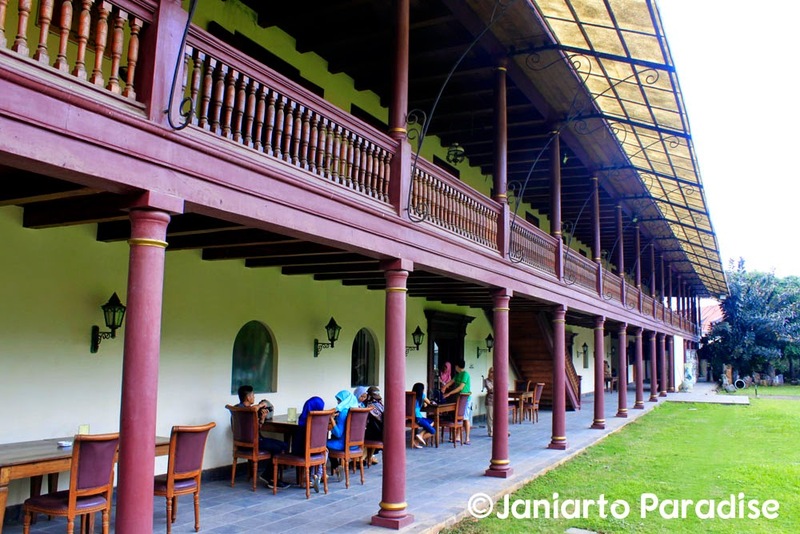 Galangan VOC Cafe is building complex consisting of the building extends across the front, green field extending parallel to the main building and pavilion building with Java architecture at the northern end of the gridiron. We had time to enjoy a glass of Lemon Tea in the cafe with the price of $ 1. At the Museum Bahari (Maritime Museum), you can enjoy some view from Syahbandar Tower. The tower is high enough so that we could look around the area of Sunda Kelapa, some place that looks eg maritime museum's main building which extends to the north, Masjid Luar Batang more to the north again, Sunda Kelapa port where sailing ships lined up, and cafes VOC shipyard in the south. The museum consists of several buildings stretching from north to south. Maritime Museum store a large collection of miniatures or models of several types of traditional Indonesian sailing boat and sailboat from other countries such as Spain, the Netherlands and the UK. Besides miniature, maritime museum also keeps some collections of original Indonesian traditional boats. We can also see a diorama of Arabian, European, and Chinese sailors in the past who had stopped in Indonesia. 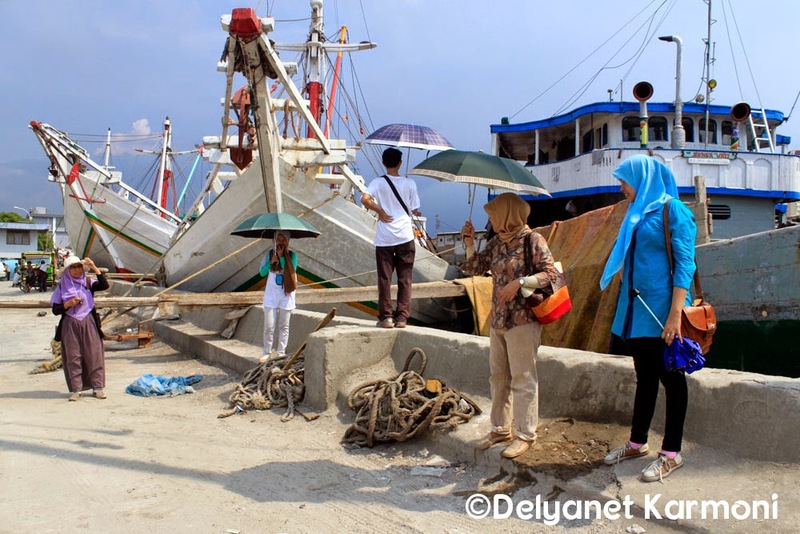 Sunda Kelapa is an old harbour which established before Dutch came to Indonesia. At this time, Sunda Kelapa still used as harbour just like at the old time. We can see some ship line up at this harbour. Fatahillah Square is the main attraction of Old Town of Jakarta. There is some building we must see at this area, namely Fatahillah Museum, Wayang (puppet) Museum, and art and ceramics museum. Fatahillah museum save a lot of historical objects from Jakarta and surrounding areas in form of original artifacts and replicas or models. Fatahillah Museum building is actually the Dutch Governor's Office for the region Batavia or Jakarta, piazza at front of the office is called as Fatahillah Square.